At 30, Schaquana Evita Spears is a single mother of SIX. 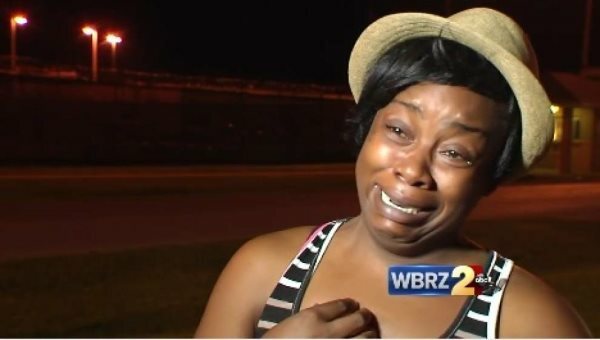 AFRICANGLOBE – A furious debate has sparked after a Baton Rouge mother was arrested for spanking her children — ages 10, 12, and 13 — after she caught them breaking into a nearby residence. The local district attorney has even questioned the arrest, and the East Baton Rouge Sheriff’s department has received complaints from as far away as California. On Tuesday, Schaquana Evita Spears, 30, caught her three sons burglarizing their neighbor’s home, so she whipped them as punishment. It was her choice to use an RCA cord that got her in trouble. According to the Sheriff’s Office report, the kids had visible marks from the whipping. “Surely you would expect a parent to discipline a child who is burglarizing other people’s homes as this could be a deadly encounter for the child,” said East Baton Rouge Parish District Attorney Hillar C. Moore III. The boys stole a hoverboard, electronics and socks from Lisa Nicholson, their 45-year-old neighbor. However, Spears made the boys bring back all the items. According to the DA, Spears’ case is under review as well as the seriousness of her sons’ injuries. After the story broke, Louis Villa, 83, all the way in California, called the Advocate asking where he could pay Spears’ $2,500 bail. “I had a single parent, and hey, she had to discipline us. Yeah, I got hit by an ironing cord, but it made me a better person. It saved my life,” Villa said, adding he imagined Spears might be like his mother: a single Black mom who might not have the support she needs, reports the Advocate. Although this author personally believes that the act of spanking teaches children that violence is okay in a loving relationship and is a causal factor in making children more aggressive later in life, the manner in which parents interact with their children is personal and private, and most assuredly no matter of the state. However, the very idea that a person should have to rely on an institution — which owes its very existence to the monopoly it holds on the initiation of force — to supervise the private familial act of discipline speaks volumes as to how much today’s society has aligned itself with the dystopian fictions of the past such as Huxley’s Brave New World, or Orwell’s 1984. What do you think? Does this mother deserve to be locked up for her actions?